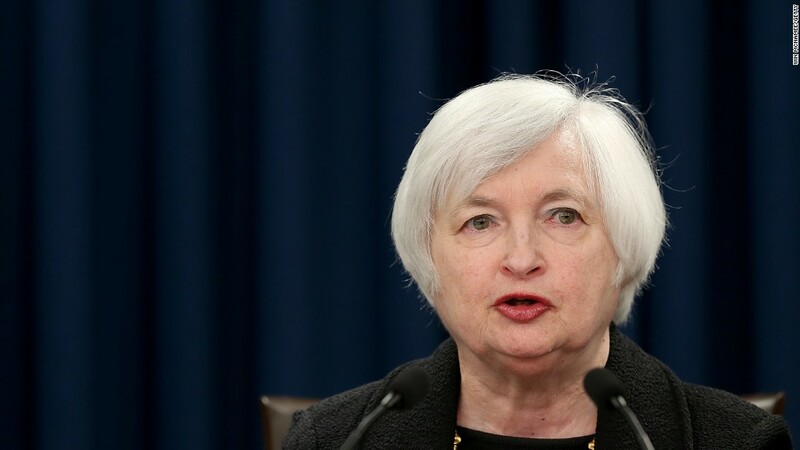 The U.S. Federal Reserve made history Wednesday when it raised its key interest rate by 0.25%. It's a big moment for the U.S. economy. Here's what you need to know. 1. It's the first rate hike in nearly 10 years: This is the Fed's first rate increase since June 2006. Back then, the economy was hot: Unemployment was at 4.4%, and the housing bubble was about to burst. The Fed tried to cool it down by raising rates. 2. It's a good sign for the economy: The rate increase is a signal that the U.S. central bank is confident about the strength of the economy and its ability to handle higher borrowing costs. It also shows how far the economy has come since the Great Recession ended in 2009, when unemployment hit 10%. Now it's at 5%. 3. Interest rates are coming off zero: The Fed put rates near zero in December 2008 to boost the economy and stimulate the collapsed housing market. Rates haven't budged since then. 4. The Fed wants to raise rates slowly: The Fed increased its target rate from near zero to 0.25%. That's a very small move. The Fed also said it expects to continue to raise rates at a slow, gradual pace next year. 5. Savers will finally make a little money: If you put money in your savings account, you will slowly start to earn interest over the next couple years as rates start climbing higher. Savers haven't earned any interest since 2008. 6. Higher rates are usually bad for stocks: But not always. When the Fed last raised rates between 2004 and 2006, the S&P 500 actually gained 15%. But higher rates increase how much it costs companies to borrow. And that can the economy to slow, which is not what stock markets want. On Wednesday, U.S. stocks went higher after the rate hike was announced. 7. Home buyers, now's the time to pay attention: Mortgage rates won't skyrocket overnight but they are expected to start climbing. A typical rate on a 30-year mortgage is 3.9%. That's very low. In 2006, mortgage rates were above 6%. 8. Higher rates will make the dollar stronger. A strong dollar is a nice perk for U.S. travelers but it's not good for American businesses, such as Apple (AAPL) and Nike (NKE), that sell their products abroad. A strong dollar makes American products more expensive -- and less attractive -- to foreign shoppers. 9. The Fed doesn't want to be late. The Fed doesn't want to hurt U.S. trade. Interest rates often take a few months to really have an impact on the economy. If it waited much longer, it runs the risk of an overheated economy. 10. Almost everyone had expected a rate hike: Over 80% of traders expected the Fed to raise rates, according to a CME Group analysis. 11. The Fed's historic move was led by Janet Yellen. Fed Chair Ben Bernanke led the central bank during the last rate hike in 2006. Now his hand-picked successor, Janet Yellen, is the one in charge. She's the first woman to be Fed chair in the bank's 112-year history.